Ronald McDonald House Charities of North Central Florida provides temporary housing, basic amenities and support to families with children receiving treatment at UF Health Shands Children’s Hospital. The Ronald McDonald House Charities of North Central Florida provides 31 families each night with a private room and all the comforts of home. This allows families to find strength in numbers and focus on the treatment and recovery of their children. Families are encouraged to contribute $15 per night at the House, but no one is ever turned away due to an inability to give. Because our services cost $100 per night to provide, our community and corporate partners make it possible to serve families at their greatest time of need. At UF Health Shands Children’s Hospital, the Ronald McDonald Family Room provides thousands of families each year with an oasis within the hustle and bustle of UF Health. A cup of coffee, a quiet room for a nap, computer access and other amenities help families and guests find balance between home, work, and hospital while remaining close at hand for their child. 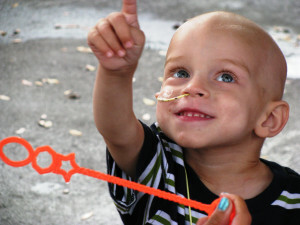 Since 1982, Ronald McDonald House Charities of North Central Florida has served over 31,000 families with children diagnosed with heart complications, premature birth, cancer, kidney problems, brain tumors, burns, leukemia, seizures and other ailments from all of Florida’s 67 counties and around the globe.